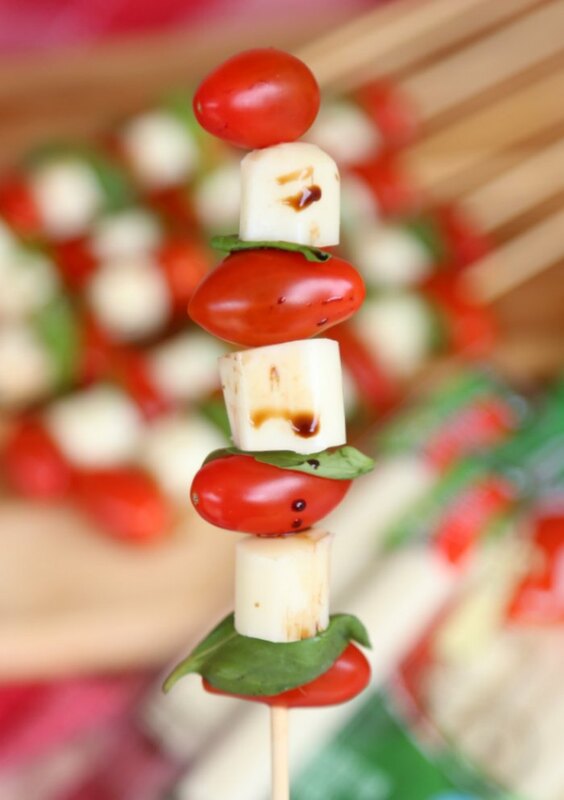 This delicious and easy Caprese Skewers recipe post is sponsored by Frigo® Cheese Heads®. Don’t these skewers look fresh and tasty?! I love recipes that are fresh, delicious, and also easy to make. And this one fits that description perfectly! These skewers make a great snack or appetizer, perfect for a fun summer evening grilling out with friends, a bridal or baby shower, or even your Mother’s Day celebrations! I really love the idea for Mother’s Day, as it is something pretty enough (and tasty) for Mom, while being something that Dad & the kids can easily make together. Fabulous right?! 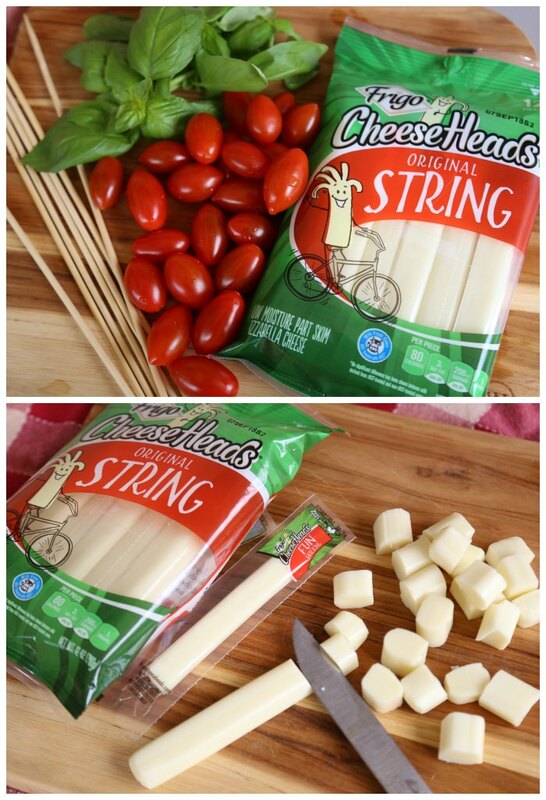 It doesn’t get any easier than making these skewers with Frigo® Cheese Heads® String Cheese – something many moms are SURE to have in the house already! We keep Frigo® Cheese Heads® String Cheese in the house for convenient snacks. 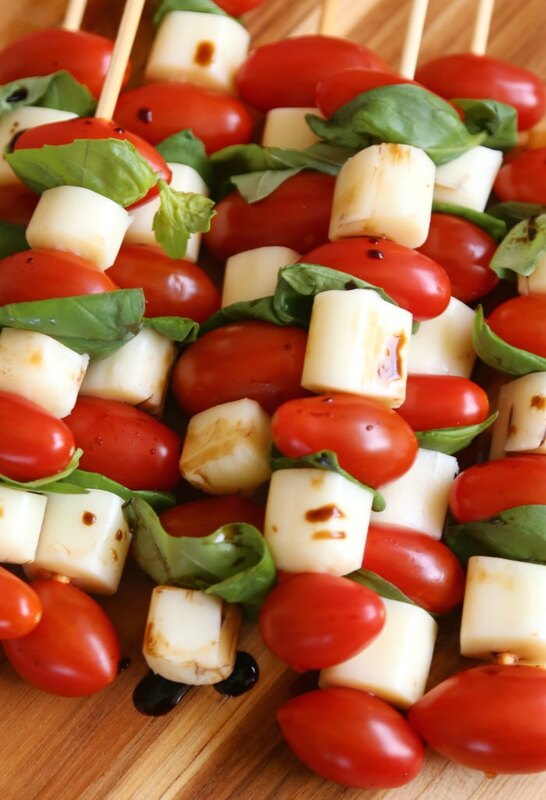 So, you can just cut those up, add some tomatoes and fresh basil with a drizzle of Balsamic…and you’ve got a beautiful appetizer worthy of celebrations! 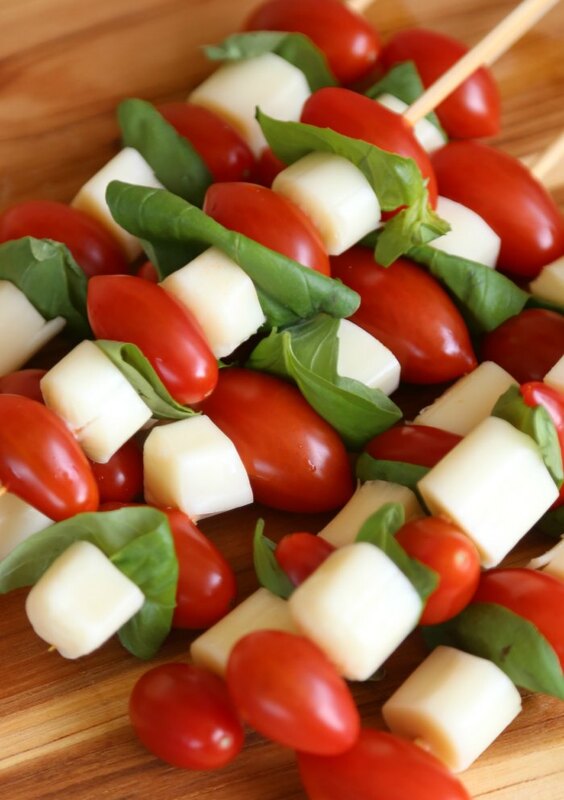 Dad or older kiddos can cut up a few Frigo® Cheese Heads® String Cheese sticks into bite-size chunks. Then, once the grape (or cherry tomatoes) are washed, the kids can thread each of the ingredients on to skewers in a pattern. We chose tomato, basil, and cheese, repeating until we had a decent portion of the wooden skewer stick filled. Then just keep doing that until you have the desired number of skewers! That’s it! SO easy! Once you’ve got all the caprese skewers you need, just plate them on a wooden cutting board or cute serving tray. Then, drizzle a bit of good Balsamic vinegar over the skewers and serve! They don’t take much time at all to make and you’ve got a beautiful, tasty tray to wow Mom (or other guests with). Plus, food is just cuter on a stick, right?! 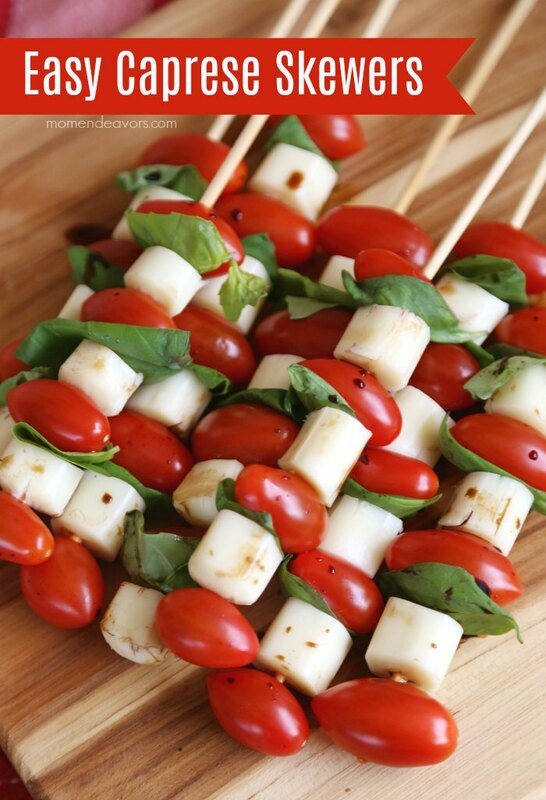 So, make these tasty caprese skewers for Mother’s Day or your next fun gathering. They’re great to take to parties and summer barbecues too! And for even more fun snack time ideas and recipes, be sure to head over to the Frigo® Cheese Heads® String Cheese website!